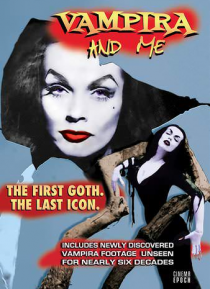 When Maila Nurmi took to the TV airwaves in 1954 as the prototypal gothic scream queen Vampira, a national craze was set off. An instant icon of female power and sexuality, Vampira drew some of the most revolutionary figures of the day to her creator - at various times, Maila's intimates included James Dean, Elvis Presley and Marlon Brando, among many others. But the woman behind the façade was b… oth far more intricate and much more fragile than the character that made her famous.